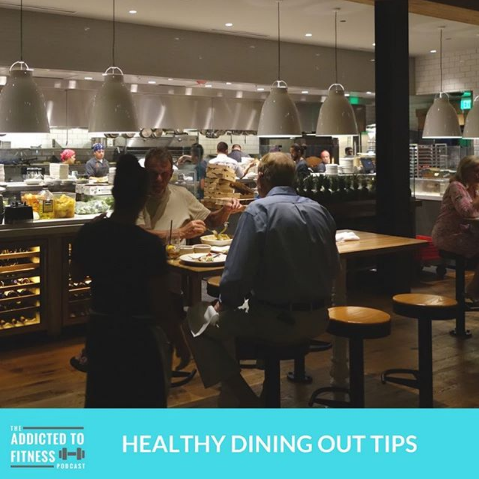 Whether it be for work or a hatred for cooking, eating out multiple times a week is a regular occurrence for a certain people. In an effort to help those individuals, this week’s Addicted to Fitness podcast features tips on how to make healthier choices while dining out. Before we share our tips we want to let you know what our listeners are talking about. Last week’s episode pic featured a pouty face pic of our daughter Ella. Shannon was asked by several people, and we received comments on Instagram, asking “why she so sad?” Thankfully that shot was from a series of pics that happen to capture her sticking out her lower lip. Also, most parents know that a baby’s mood can change in a heartbeat. I assure you that Ella is happy and healthy. We also received a comment about our “New Parent Anxiety” episode from long time listener & ETT client Adrien. She left a comment on the @ETTampa Instagram saying “Love that you two are always having the important conversations.” One of the goals of this podcast is to share health information that is not only helpful but also a pertinent to our lives, and we hope we accomplish that each week. I attended the Yin Yoga class & CBD oil workshop that I mentioned on last week’s show. Unfortunately, I missed the first portion of the class, which contained the explanation of the CBD samples I received. Thankfully the instructor works with Shannon and I’ve already contacted her directly to get more info about CBD, which I’ll be sharing with you in a future episode. I did get to take the entire Yin Yoga class and it may be my new favorite form of yoga. It was very relaxing and restorative. It featured several “props” including bolsters, blocks and straps. These tools helped the varying fitness levels of the class attendees to achieve the prescribed poses . 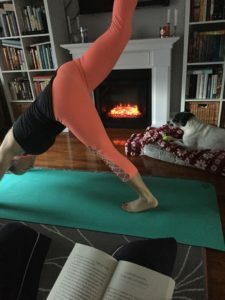 The movements & poses that were used focused on facilitating the movement/flexibility/mobility of connective tissue and areas of the body that hold a lot of tension (e.g. hips, shoulders, lower back). The class actually inspired me during the Stick Mobility class I led the following day. Shannon thinks one of the Stick Mobility creators must of trained in yoga because she sees a lot of similarities between the two disciplines. We also discussed Shannon, who is now officially a registered yoga teacher (RYT), leading the whole family through a yoga session. 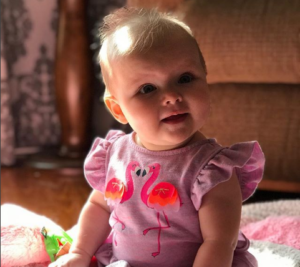 We would love to take Ella to a studio, but we don’t think she’s quite ready to enjoy an entire 45-60 minute yoga session. Love it or hate it, we want to know what you think about this or any episode of the Addicted to Fitness podcast. The best way to do that is give us a rating & review in the iTunes store. You can also reach out to us on Facebook, Twitter or Instagram. 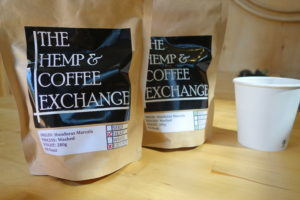 All the ATF coffee lovers should also visit our sponsor’s website, hempcoffeeexchange.com. Check out all their great products and use our exclusive promo code “ATF” at checkout to get 20% off your order.